If I Hadn't Discovered SBI, You Wouldn't Have Discovered This Web Site! I built this web site all by myself using SBI! I'm actually very technically challenged. The idea of creating a web site was so far outside of my realm of abilities that I would have laughed 'til I dropped had anyone suggested I would be able to do this on my own. Well, I know how to travel to great areas cheaply and I love to write. Somewhere, while exploring the idea of writing some travel guides, I realized that, in this day and age, a web site is almost a necessity as a mareketing tool. If I had any idea that I would be the one creating that web site, I think I would have quickly discarded the whole idea. 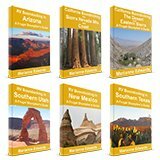 No Frugal Shunpiker's Guides to RV Boondocking would exist today. But along came a friend, who convinced me to look at Site Build It! The money-back guarantee if I found it to be too technically challenging for me convinced me to give it a try. And, believe it or not (I hardly do myself), this web site is the result. Being frugal, you might wonder why I didn't look at some of the cheaper ways to set up a web site. Believe me, Randy tried to convince me to try them first. After all, registering a domain name is only about $10.00 per year. Then there are many free and inexpensive templates and programs on the net. Maybe I could learn the basics of html programming from a book - Yeah....Maybe! Who knows, maybe I could have actually produced a web site that was "presentable," but would it be successful? Cost isn't the only factor. Are there cheaper and, perhaps, easier ways to build a web site? Absolutely. Would I have stuck with SBI for all these years if I felt it wasn't the best and most affordable way to operate a web site? Absolutely not! Generating an income from a site does NOT require selling anything online. It DOES require a site that's more than just a collection of web pages. Do you know what it takes to have your site appear on the first page of a search engine's results? With SBI, I was able to systematically follow a formula to carefully choose the niche, the domain name, and the content to do exactly that. As I built each web page, SBI's tools analyzed it and, if necessary, prompted me to rewrite it slightly to get the attention of the major search engines. My web site currently comes up on the first or second page for a Google and Yahoo search for keywords such as RV travel, free camping, and frugal travel, just to name a few. It's not by accident that The New York Times found my web site and called me for an interview! 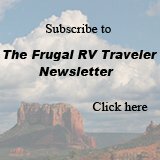 That happened within just two years of launching www.frugal-rv-travel.com. How did I manage these search-engine results so quickly? I know I owe it to SBI! In fact, SBI lists my web site as an example of their countless success stories. If you'd like an income from home or a source of income while you're "on the road", Site Build It may be the solution for you too. You don't even need to have any great ideas or have anything to sell. SBI! will help you brainstorm to come up with an information-based web site that will generate income for you without you actually selling anything. Site Build It! helps anyone (with a brain) succeed - with an all-in-one process, tools, and guidance. How do-able is it? Let's put it this way: by following the step-by-step guidance SBI provides, success (i.e., profits, not the mere existence of a web site) is achievable even for a beginner. Lots of web sites exist. Very few attract real traffic. If you'd like to know more about my personal experience with SBI! please send me your questions through the Contact Us form on this web site. A friend with her own successful web site turned me onto SBI, so now, let me turn you on to it. It makes creating a web site do-able. But enough about me. This video demonstrates what SBI can do for YOU!